In frost-free areas, grow Calla Lilies in a moist, sunny to semi-shady location with soil that has been amended with a lot of organic matter. 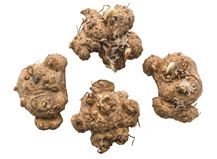 Plant the rhizomes 3" deep and 12-15" apart. Water liberally and feed monthly during the growing season. After the flowers fade, reduce the amount of water. 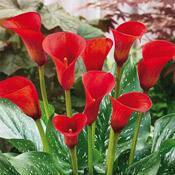 In areas where Callas are not hardy, allow the plants to dry out. Dig the rhizomes and store in dry material for the winter. Hardy in Zones 9-11.